The active-duty Army and the National Guard are ready to support emergency management officials as Hurricane Florence begins its assault on the lower East Coast. The hurricane was downgraded from a Category 4 storm, but it’s still expected to cause damage and flooding, especially in the Carolinas. 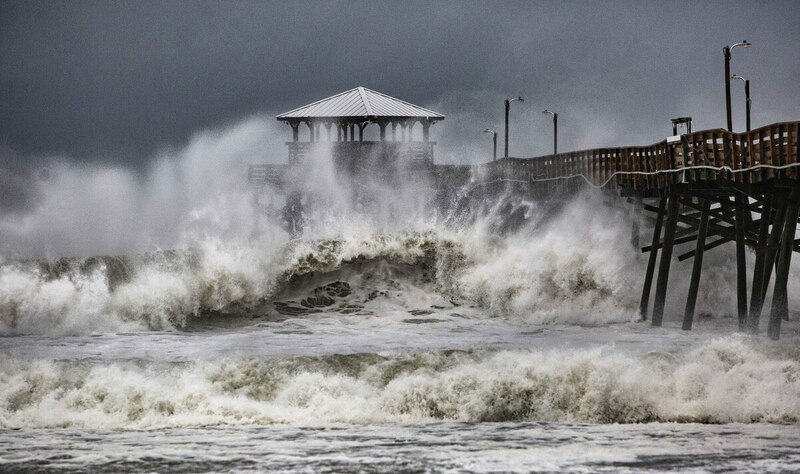 Fort Bragg, which is about two hours from the North Carolina coast, is in “react mode," Lt. Col. Mike Burns, XVIII Airborne Corps spokesman, told Army Times on Friday. Hundreds of soldiers and dozens of high-water trucks from other posts are heading to Fort Bragg to assist relief operations, Burns said. Both Fort Bragg and Fort AP Hill in Virginia were designated as FEMA Incident Support and Federal Staging Areas, according to the Army. Approximately 420,000 Army civilians and family members could be impacted by the storm, which is also affecting training. Fort Bragg is operating on a reduced manning status, with mission and emergency essential personnel reporting, the Army said. Basic training graduates at Fort Jackson, South Carolina, won’t go to their next assignments until it’s safe to travel. Fort Jackson is also preparing for approximately 2,000 evacuees, according to the Army. BCT grads at Fort Lee in Virginia will also stay put until it's safe to travel. The Virginia National Guard is planning to bring 1,500 soldiers and airmen to assist with the state’s response operations. Potential missions include high-water transportation, debris reduction, commodity distribution, shelter management assistance and search and rescue, according to the Virginia National Guard. #USArmy helicopters, high water vehicles, and temporary emergency power, planning and response teams are standing by to support @fema and the American People. The North Carolina National Guard will activate 320 soldiers, with an additional 7,000 soldiers and airmen ready to mobilize if called on by the governor. In South Carolina, about 1,100 Guardsmen are on state orders for hurricane response and will remain on duty for as long as needed. The Maryland National Guard also anticipates activating 500 soldiers, according to the Guard.